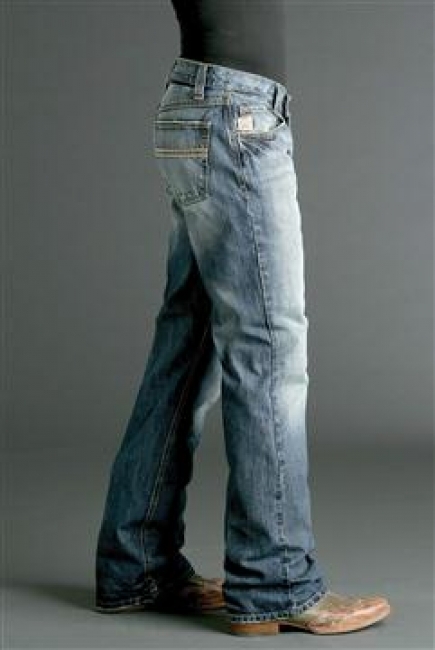 The Carter jean is here for a short while so don't miss it especially if you liked the popular Cinch White Label jeans. These jeans have the hand sanding, tacking and unique wash, tied together with a classic Cinch straight back pocket stitch. They have a relaxed waist, hip, thigh and knee; also a mid rise, bootcut leg and 20" leg openings made to fit over western boots.